The Bush Cabot Collection 60" Hutch adds additional storage space to the Cabot Collection 60" L-Desk or the 60" Corner Desk. Available in Harvest Cherry finish, the Cabot Hutch offers simple, elegant styling with contemporary touches like flip-open doors on storage space, wire management system, and open work-in-process bays to keep you organized. 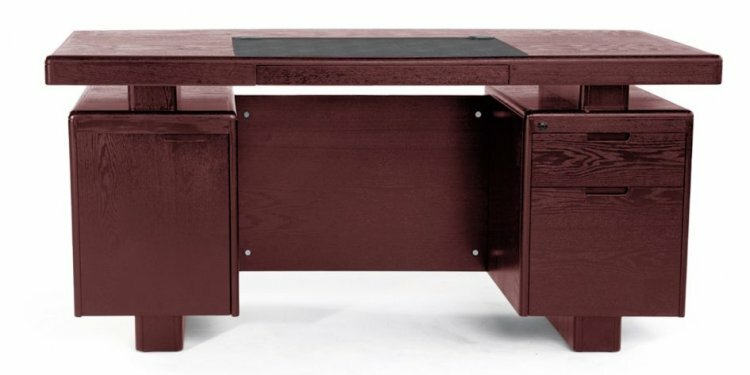 The Bush Cabot Collection Corner Desk is the perfect solution for the tech-savvy office. The desk is designed to offer a wide-open 60" of work space with everything you'll need to stay connected and clutter-free, including a charging station, an open cubby that doubles as a bookshelf or modem storage area, a filing drawer, and wire management system. Designed for years of use, the Cabot Corner Desk features full-extension ball-bearing drawer slides and a beautiful, durable Harvest Cherry finish.